A new British Standard for dry fix systems was launched at the end of January. Alex Gill, from Marley Eternit, explains how it will affect you. Since the introduction of BS 5534 three years ago, there has been a clear shift towards the use of dry fix systems. However, the popularity of the products means that there has been a huge increase in the amount of systems on the market, with many offered at a much cheaper price and claiming to do more or less the same job. The systems may look broadly similar but, the quality and performance of the components can vary significantly. Such is the concern about this, that a new Standard, BS 8612: Dry-fixed Ridge, Hip and Verge Systems for Slating and Tiling, has been developed to set minimum quality standards for the products for the first time. It defines the performance requirements that dry fix systems should meet, including durability, mechanical fixing and weather resistance. 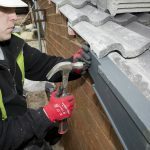 It is hoped that BS 8612 will make it easier for roofers and builders to differentiate between systems and reduce the amount of inferior products on the market. The new Standard was launched at the end of January. How will BS 8612 affect you? 1. You will need to make sure that any dry fix systems you use that require BS 8612 compliance, meet the requirements or have BBA certification. To check this, you need to look at the product’s accompanying documentation, which should be marked BS 8612 compliant and also show the maximum wind speed for the system. 2. Under the new Standard, dry verge products can no longer be installed just with a nail straight into the end grain of the batten. Instead, they must be clipped or screwed into place. 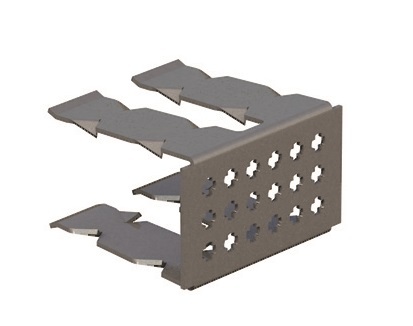 In anticipation of this change, Marley Eternit has developed a new Batten End Clip, to help you ensure that the dry verge is fixed securely and centrally into the end of the batten. 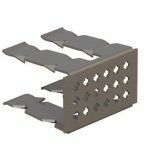 The new clip requires no nails and has sharp teeth which cut into the batten, making it extremely secure, as well as being very quick to push or hammer into place. 3. Don’t wait until the end of the transition period. Switch over to BS 8612 compliant products as soon as possible and make sure you update your buying policies.